The ADA’s Council on Scientific Affairs has released recommendations for the safe use of cone-beam CT in a dental practice (Journal of the American Dental Association, August 2012, Vol. 143:8, pp. 899-902). Since cone-beam CT devices were introduced commercially in the U.S. in 2001, dentists have come to use the technology in increasing number. Yet […] concerns have been expressed about whether the information acquired with cone-beam CT imaging warrants the additional exposure risk, as well as about the level of training, education, and experience required to interpret the cone-beam CT dataset. The published recommendations provide essential principles for consideration in the selection of cone-beam CT imaging for individual patient care. The statement emphasizes the application of professional judgment in clinical decision-making that is informed by the latest scientific evidence and professional guidance. For example, clinicians should perform radiographic imaging, including cone-beam CT, only after professional justification that the potential clinical benefits will outweigh the risks associated with exposure to ionizing radiation, and special consideration should be given to the exposure of children and adolescents, according to the council. 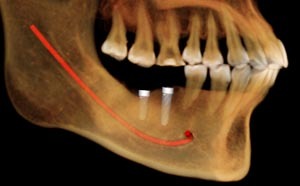 However, cone-beam CT may supplement or replace conventional dental x-rays when the conventional images will not adequately capture the needed information. Cone-beam CT should be used only after a review of the patient’s health and imaging history and completion of a thorough clinical exam. In accordance with the “as low as reasonably achievable” (ALARA) principle, radiation dose should be optimized to achieve the lowest practical level to address a specific clinical situation. Clinicians should limit radiation dose by optimizing image quality, using the smallest field-of-view necessary for imaging a specific anatomical area, and using the lowest combination of tube output and scan time consistent with adequate image noise content and motion artifact. Protective thyroid collars and lead aprons should be used when they will not interfere with the examination. Cone-beam CT exams should be prescribed and evaluated by a dentist who has appropriate education and training in cone-beam CT imaging and interpretation. Facilities considering the installation of a cone-beam CT device should consult a health physicist or other qualified expert to perform a shielding analysis. Facilities using cone-beam CT systems should ensure that equipment performance and compliance evaluations are performed at least annually. Facilities using cone-beam CT systems should establish a quality control program. The council’s advisory statement also includes a table outlining effective dose estimates for common dental radiographic exams and cone-beam CT imaging. 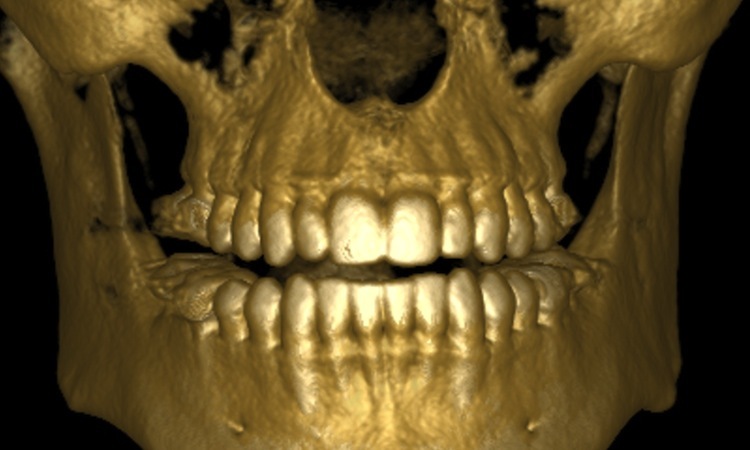 Dental practitioners should prescribe cone-beam CT imaging only when they expect that the diagnostic yield will benefit patient care, enhance patient safety, or improve clinical outcomes significantly.